To remain competitive, businesses need to ensure that their systems are supporting their needs. 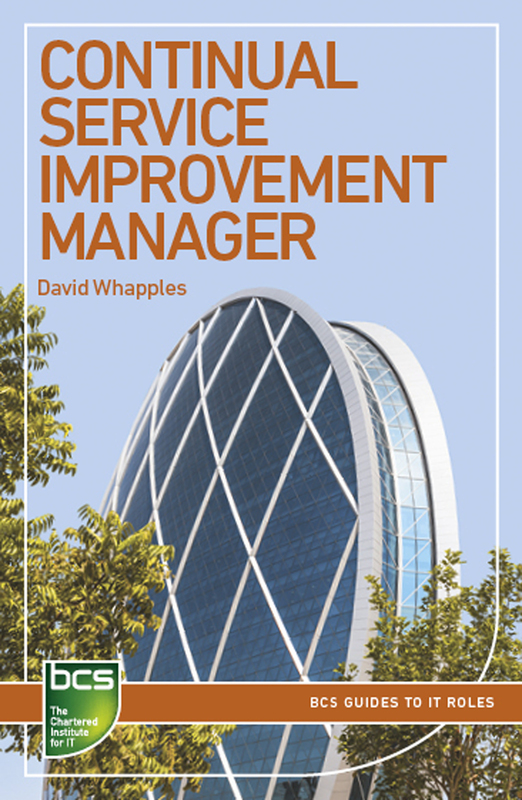 The role of a continual service improvement (CSI) manager is to align IT services to changing business needs and to identify areas for improvement. This practical and accessible book gives an excellent introduction to the role, covering areas such as purpose, required skills, responsibilities, interface and career progression as well as tools, standards and frameworks related to the role. With over 20 years of service management experience, David has been involved in continual service improvement first hand both as a consultant and in permanent roles. From process design, process enhancements, toolset implementations, setting up improvement frameworks, to full blown improvement projects, David has assisted organisations in achieving business benefit from improving IT services. Continual service improvement is one of those topics that gets talked about but is rarely fully realised. In this publication David provides excellent practical advice on how to make it happen, with specific guidance on who needs to do what. Essential reading for anyone working in IT or IT service management.